With three voices singing incredible songs like “Feeling Good,” “Moondance,” “Come Fly With Me,” “Home,” “Everything,” “Fever,” “Save the Last Dance for Me” and many more, SHADES OF BUBLÉ: A Three-Man Tribute to Michael Bublé brings the swinging standards and pop hits of Michael Bublé to the stage in an unforgettable high-energy concert event. 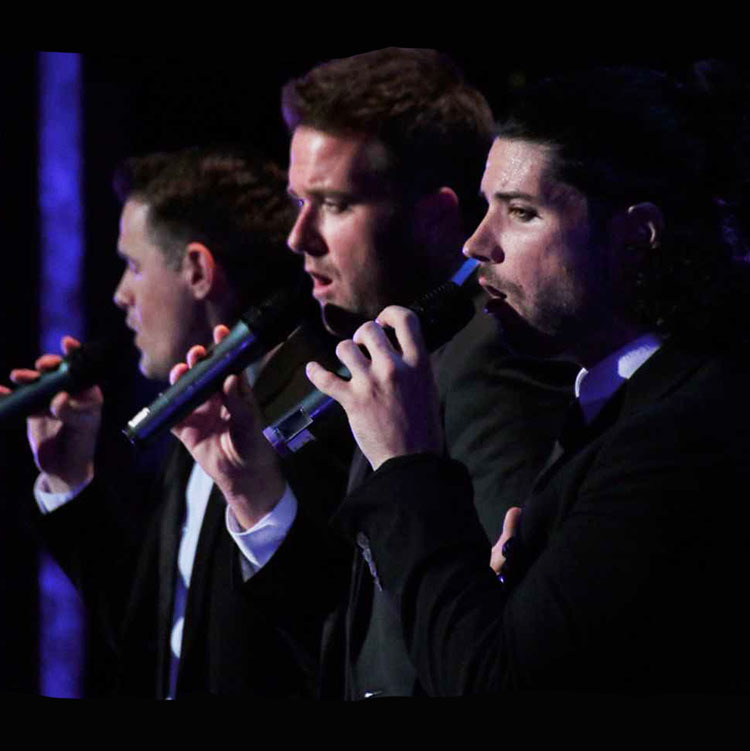 Beginning with an amazing sold-out debut at the end of the 2014-2015 concert season, this act has already begun wowing audiences around the country with exciting harmonies, smooth choreography, and charming good looks. Delivering a setlist comprised only of songs recorded or performed live by Michael Bublé, this world-class tribute act honors (but doesn’t imitate) the sophistication, retro style, and high-energy fun that Bublé himself brings to his concerts while engaging diehard fans with thrilling new three-part vocal arrangements. SHADES OF BUBLÉ: A Three-Man Tribute to Michael Bublé gives audiences seamless variety by combining big-band standards from the jazz era, classic hits from the 50s/60s/70s, as well as Billboard chart toppers from today in a high-energy show that generates standing ovations from sold-out crowds.